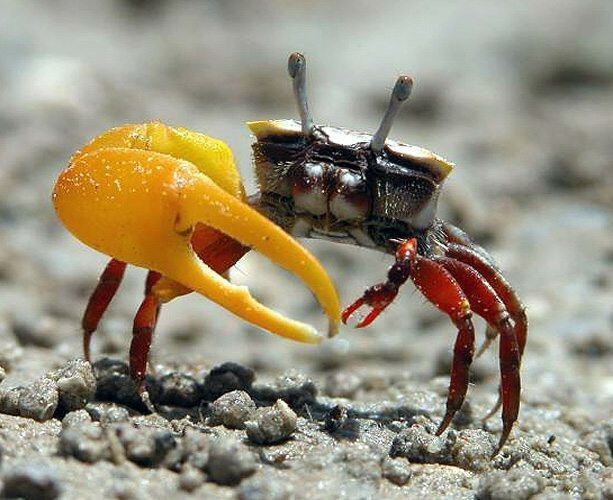 Fiddler Crabs live in small holes found on muddy and really sandy beaches. They do not like to live anywhere else besides muddy and sandy beaches. Fiddler crabs eat algae krill and shrimp they can eat other things as well but this is the most common food for the fiddler crab to eat. 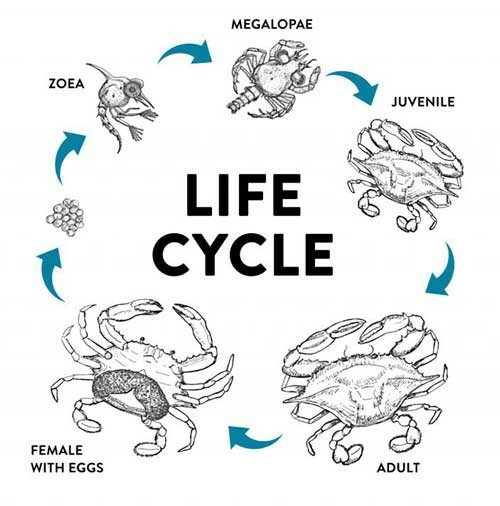 Fiddler crabs hatch from an egg as a tiny prawn then they turn into a bigger prawn then they turn into a lobster then they are a baby crab then they are a full fiddler crab. Fiddler crabs look like any other normal crab exept they have one massive claw and thy have a small head.